Downloading things can become seriously annoying when they fail in between and can’t be resumed from the very movement when it was actually stopped. It becomes seriously annoying when it happens at the very last movement when the file is almost completed, whether it’s your stock browser or any other browser but this problem is same everywhere. So, today in this post I am going to share with all you that how to resume download failed files in UC Browser without downloading any other App, just by following some simple steps. Below are the steps to follow to Resume Download Failed Files in UC Browser. Use any older version of UC Browser, because this trick doesn’t work in the latest version. 1. First of all, go to File Manager > UC Downloads > then find your downloading file and .tmp file. It will be Just below your downloading file. For Eg- I am Downloading GTA 5 And It Corrupts at 65%. So now I need to go to file manager > UC Downloads > and I have two files named GTA 5 and GTA 5.tmp files. 2. Now we have to move those files from UC Downloads folder to any other folder [As you like]. 3. 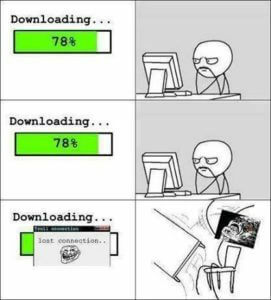 Then again we need to open UC Browser App and we have to delete GTA 5 file from downloading files. 4. Now we have to download the same file again from the same link for a minimum of 8-10 MB and pause it. 5. Then again go to file manager > UC Downloads > Now Delete those two files. [Downloading File & .Tmp File]. 6. Now go to the folder where you moved first two downloading files and move them back to UC downloads folder. 8. That’s it you’re done. It will start downloading from that breakpoint where it was failed. In conclusion, I would say that after doing this you don’t need to think twice before Downloading anything. Go ahead. Honestly, I believe that there is nothing very special about UC browser, but it’s very popular most of the Internet users prefers UC Browser to surf across the Internet and Downloading different files. Downloading speed and interface of UC browser are above average and the downloading is disturbed by many factors related to your Internet connection. When you put any file for downloading, and the downloading is stopped in between then, it feels terrible. You waste a lot of your valuable time and get nothing in return. Thus, using this trick will help you save your time and do all the downloading a quickly as possible. The article “Resume Download Failed Files in UC Browser” is very useful for each and everyone who are fond of download in different thing from the internet, many times the stopped files can’t be resume in UC browser and it was a lot of your time. This article will help you to save your time as well as your data. Any files can be easily downloaded and resume on UC browser, and you don’t have to worry about that. Having said that, this is also true that if your try out those steps to use the method it would be very easy to you to apply, and it is working so, just go try it out. Stay connected to our page to get such useful tricks in the future. So, hence was the post Resume Download Failed Files in UC Browser. I hope you liked the post. Feel free to comment your reviews in the comment box. Don’t forget to share the post.